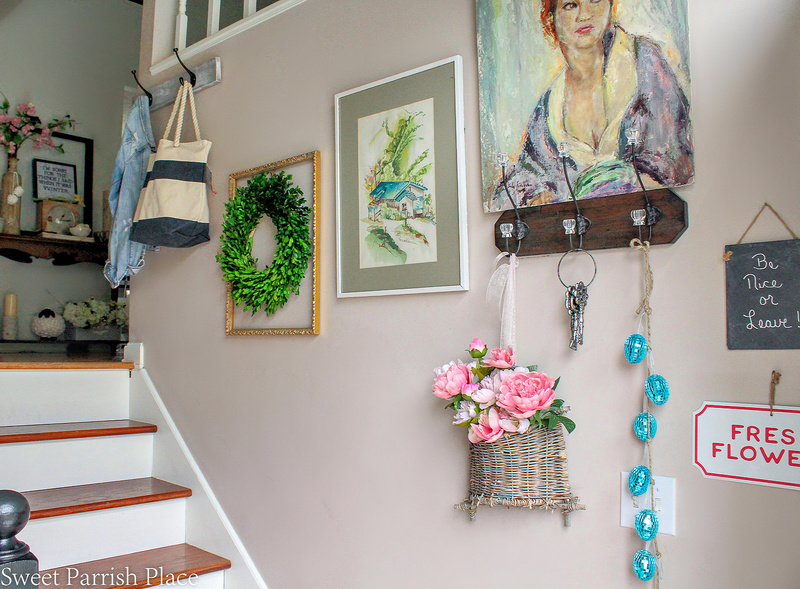 Today I am sharing my 2019 spring entryway as the first of four Spring Home Tour posts that I have planned. Hey friends! Can you believe it is April already? 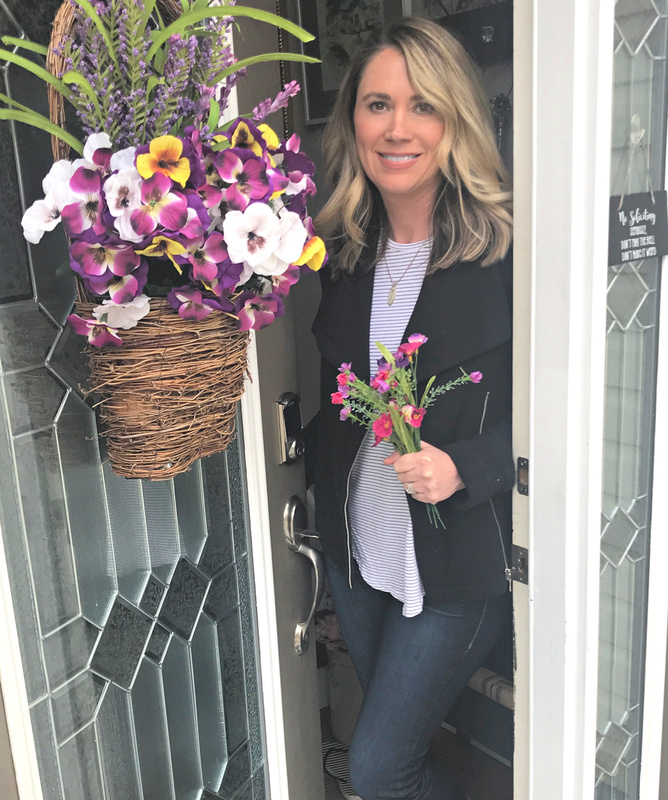 I could not be more happy, because as you may know, Spring is my favorite season, so to celebrate the arrival of Spring, I have a 4 part Spring home tour planned, and I’m starting right now with my 2019 Spring entryway. As some of you probably already know, we live in a split entry home that was built in 1996. This is a very tight space, which is not ideal, but I feel like we have made the most of it by adding hooks and a shoe cabinet. 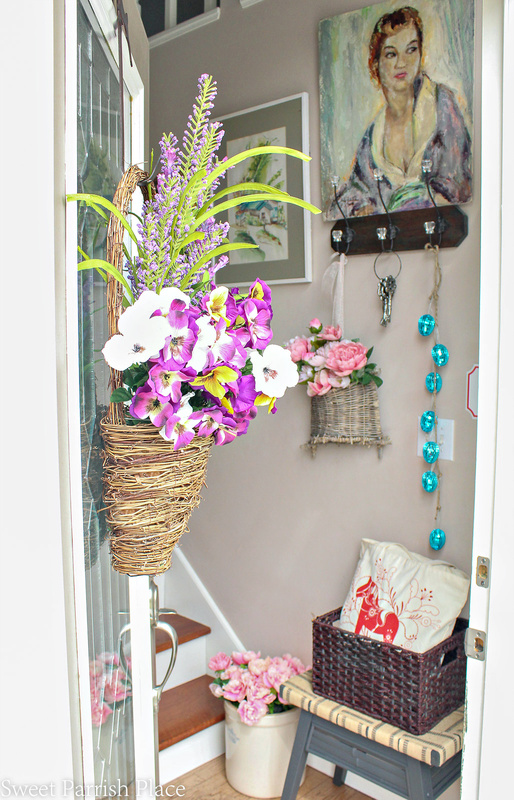 Welcome to our Spring Entryway! 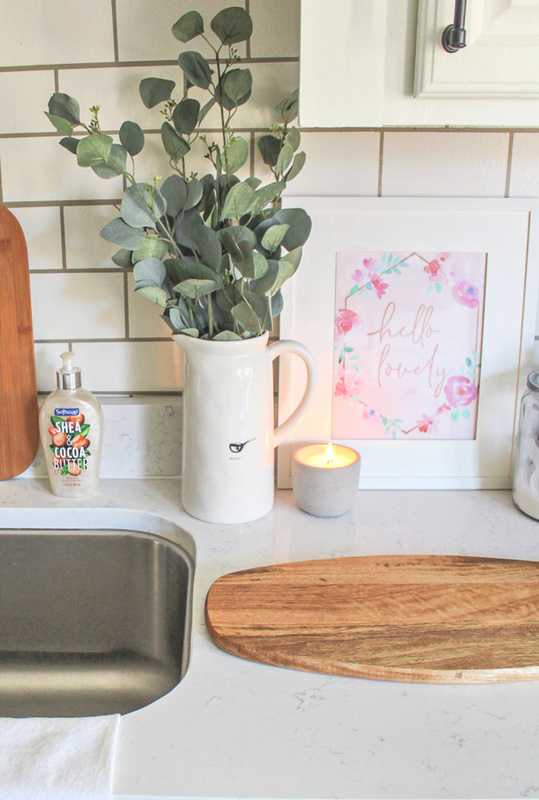 I recently made over the little bench you see in the photo above, and you can read all about that DIY and see a tutorial for it here. This bench serves as a spot to hold a basket full of things we grab often when taking our dog out for walks. 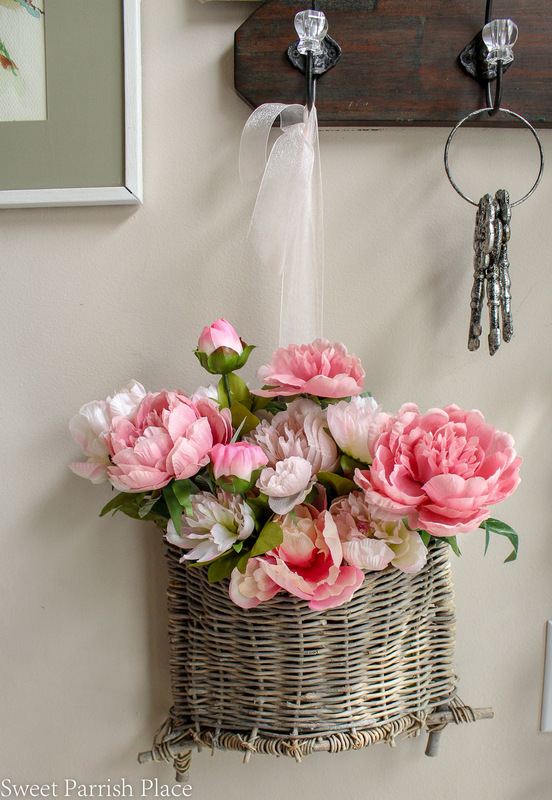 Also, when you enter, you will see this pretty little quirky basket filled with pink peonies and more of them filling a vintage crock that sits next to the bench. I just love peonies! Actually, I purchased this basket you see below at Goodwill, and it had some ratty old flowers in it. So I just ripped them out, and added these pretty pink ones. I love the way it turned out! 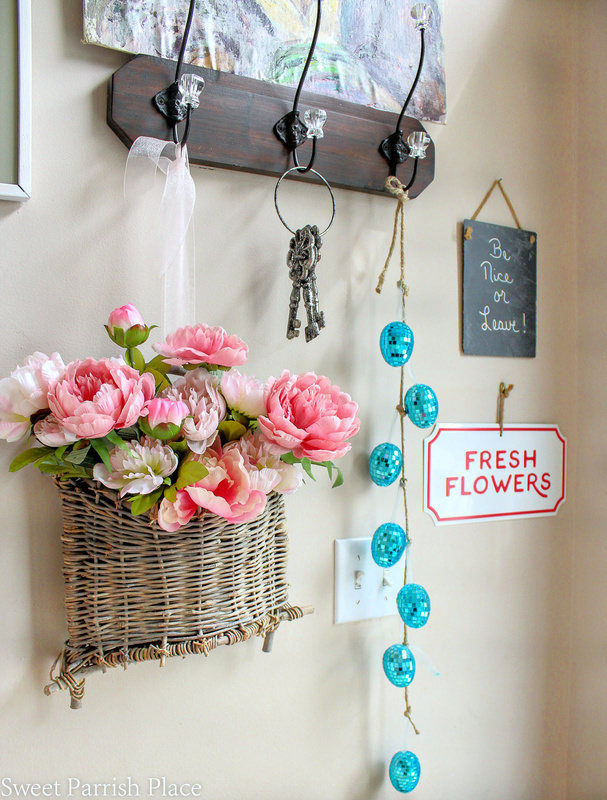 If you see a basket or container you like while out thrifting, and it is filled with dirty ugly flowers don’t be afraid to rip them out and add something fresh and new! I just used some pink sheer ribbon and hung it from that to bring it down a little on the wall where I wanted it to be. 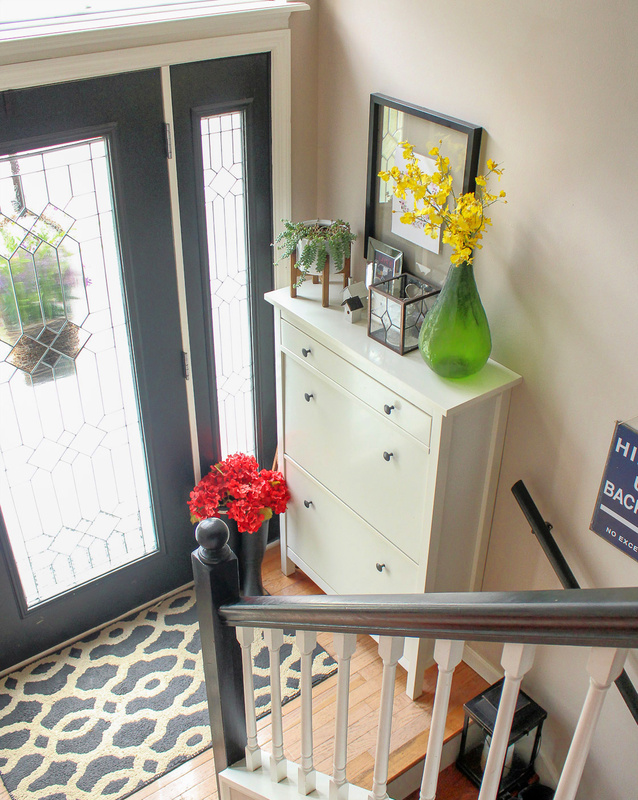 As you walk up the stairs from our tiny little landing, this is what you will see. Both of those paintings are very special to us because they belonged to my husband’s brother who passed away. The woman you see there is not framed, and I would like to have her framed, but the canvas is warped, and I haven’t figured out what to do about that, so it just sits propped against the wall. 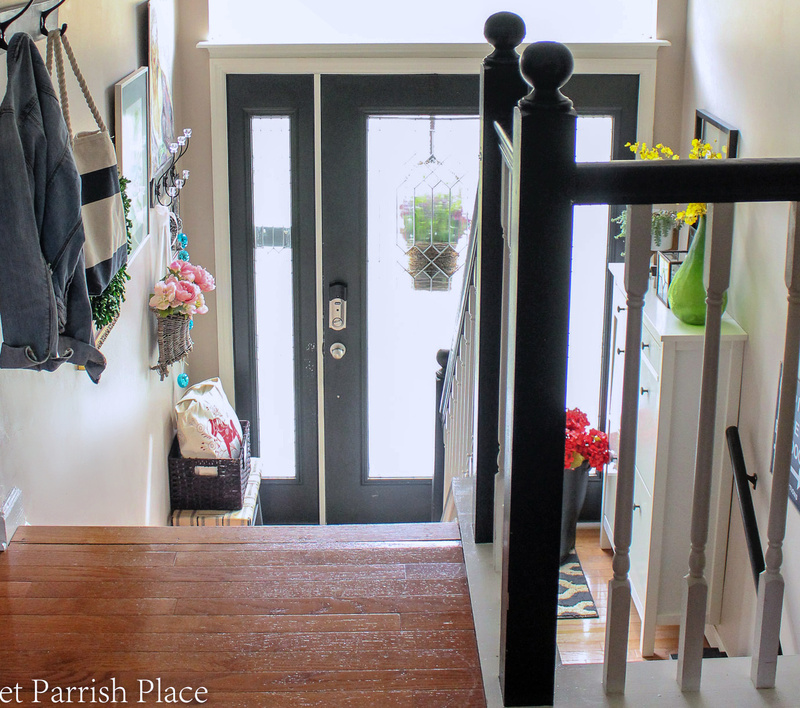 I am currently tossing around thoughts about changing up the walls leading both up and down the stairs. But haven’t made any concrete plans yet. I strung the little blue disco ball Easter eggs up on a piece of jute and just hung them for Easter. We purchased the shoe cabinet you see below back when we first moved into our home. I needed something to corral shoes in this spot because it is ridiculously tight here and we were tripping over shoes daily. This cabinet has worked out splendidly and holds 16- 20 pairs of shoes. It’s fantastic! This is from the top of the stairs looking down onto the split entry. Can you see the little scratch marks on my black door? Yeah, that is from the dog. I need to find a solution for keeping him from doing that because several of my doors are this way. Any suggestions on how I can protect my door? I don’t want to repaint everything for this to keep happening, are ya feeling me? 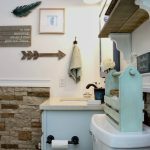 When it comes to decorating for the different seasons, I often find free printables online and print them out myself. 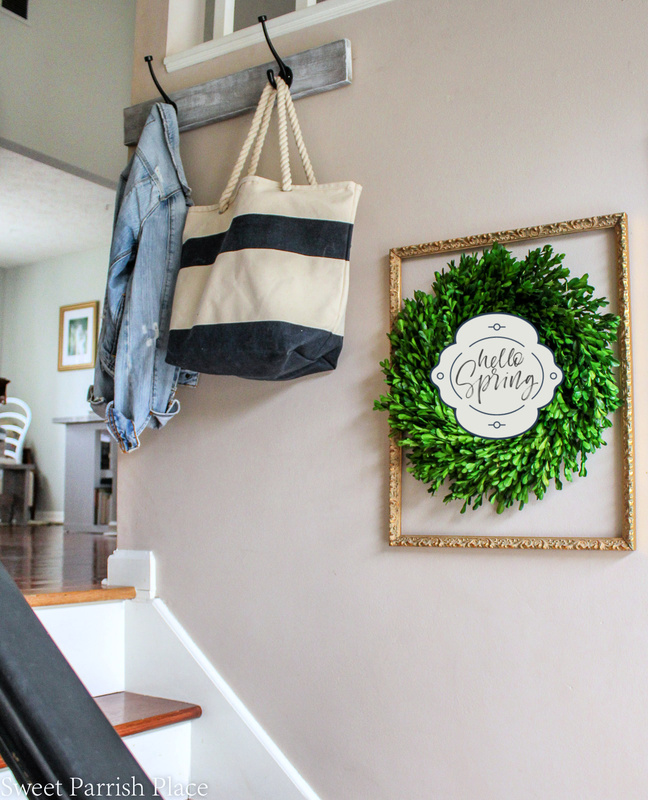 This is a great budget friendly way to put up seasonal decor. 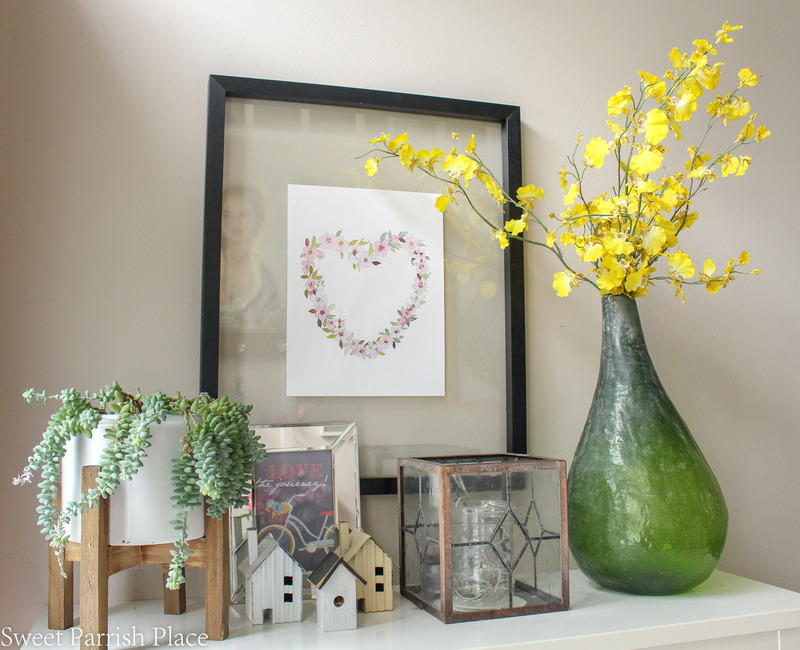 The floral heart you see below is a free printable and you can find it at Craftberry Bush. Lucy is such a talented painter. She paints beautiful things and offers them to her readers to print out for free! 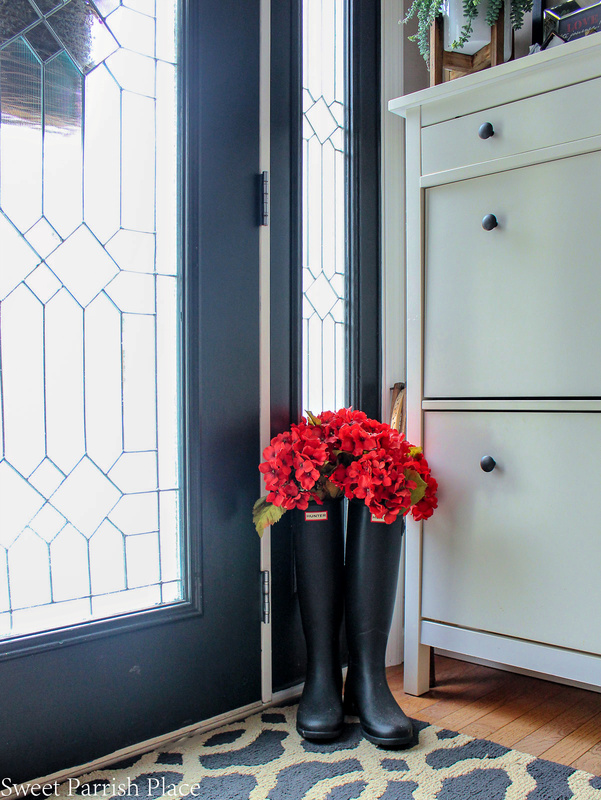 I am so glad you stopped by to see my 2019 Spring entryway today! 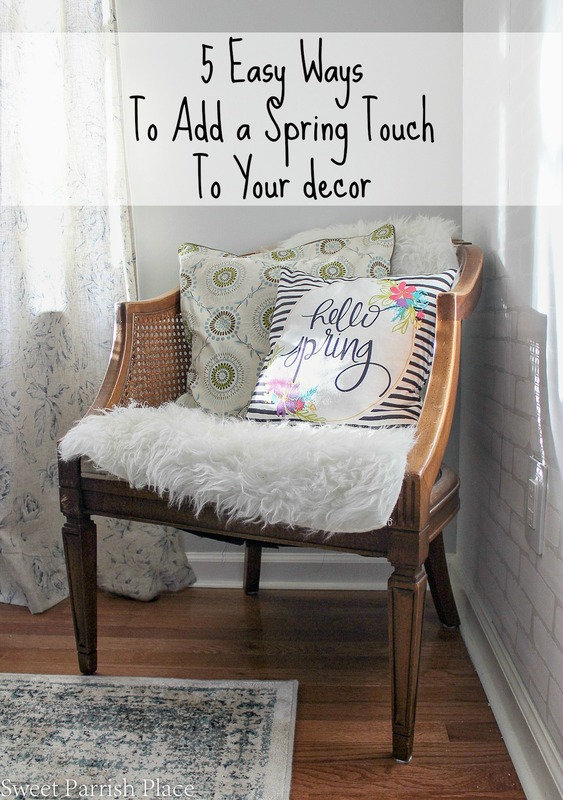 I will be back probably in a few days to share another space all freshened up and decorated for Spring! Enjoy your evening!